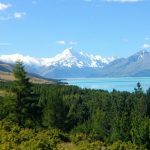 BEVERLY HILLS — As movie fans await the imminent release of the second film of The Hobbit Trilogy – and another epic dose of Middle-earth landscapes – New Zealand has taken a cue from Hollywood by unveiling a giant pop-up book of New Zealand in Los Angeles. 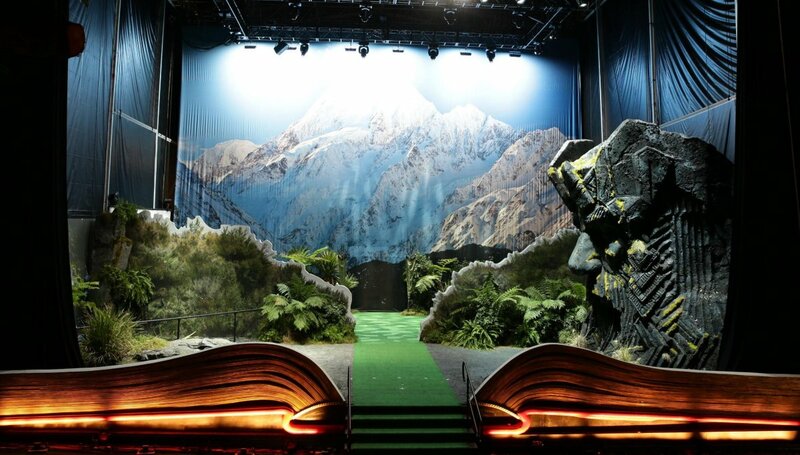 The country that provided the epic scenery that backdrops The Hobbit Trilogy movies has installed the world’s largest pop-up book – occupying an area roughly the size of two tennis courts and 50 feet high – in the grounds of the Beverly Hilton hotel, that shows how film fantasy becomes reality for visitors to New Zealand. 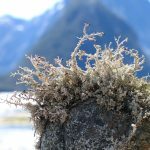 The pop-up book of New Zealand is on site for five days coinciding with the Hollywood world premiere of The Hobbit : The Desolation of Smaug – produced and directed by acclaimed Kiwi film-maker Sir Peter Jackson. 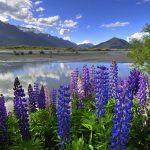 It is divided into four sets representing new filming locations from the film – Hidden Bay (Turoa, Ohakune), Forest River (Pelorus River, Marlborough), Lake-town (Lake Pukaki, Mt Cook), and Beorn’s House (Paradise, Queenstown). Authentic props used for the pop-up book of New Zealand include the giant wooden armchair from Beorn’s house, two-level waterside houses and a boat from Lake-town and the gigantic brooding bust of the dwarf king Thror that stood over the back entrance to Lonely Mountain. 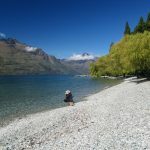 Jackson’s epic Tolkien-inspired productions of the Lord of the Rings and The Hobbit Trilogies have created a legendary fan following and been at the source, over the past decade, of a film tourism phenomenon for his home country New Zealand. The much anticipated The Hobbit: The Desolation of Smaug,a production of New Line Cinema and Metro-Goldwyn-Mayer Pictures, is scheduled for worldwide release on 13 December, 2013. From Academy Award®-winning filmmaker Peter Jackson comes The Hobbit: The Desolation of Smaug, the second in a trilogy of films adapting the enduringly popular masterpiece The Hobbit,by J.R.R. Tolkien. The screenplay for The Hobbit: The Desolation of Smaug is by Fran Walsh & Philippa Boyens & Peter Jackson & Guillermo del Toro, based on the novel by J.R.R. Tolkien. Jackson also produced the film, together with Carolynne Cunningham, Zane Weiner and Fran Walsh. The executive producers are Alan Horn, Toby Emmerich, Ken Kamins and Carolyn Blackwood, with Philippa Boyens and Eileen Moran serving as co-producers.